"We all deserve a standing ovation at least once in our lives." Lionsgate has revealed the third and final official trailer for the film Wonder, adapted from R.J. Palacio's book of the same name. There have already been two previous trailers released, so why not one more to push this film. Wonder stars acclaimed young actor Jacob Tremblay (seen in Room, Before I Wake, The Book of Henry), who plays Auggie, a kid with an awkward facial difference who decides to go to public school despite being made fun of. He makes a few new friends who help him learn to be himself. The full cast includes Julia Roberts and Owen Wilson as Auggie's parents, and also featuring Daveed Diggs, Mandy Patinkin, Sonia Braga, Izabela Vidovic, Ali Liebert, and Bryce Gheisar. This looks charming and inspiring, which is pretty much the point, that we all should learn to look past these little differences and appreciate everyone for who they are deep down. You can also still watch the first official trailer for Wonder here, or the second trailer here for more footage. Wonder tells the inspiring and heartwarming story of August Pullman. Born with facial differences that, up until now, have prevented him from going to a mainstream school, Auggie becomes the most unlikely of heroes when he enters the local fifth grade. As his family, his new classmates, and the larger community all struggle to find their compassion and acceptance, Auggie's extraordinary journey will unite them all and prove you can't blend in when you were born to stand out. Wonder is directed by American filmmaker & screenwriter Stephen Chbosky, of The Perks of Being a Wallflower and The Four Corners of Nowhere previously, and creator of "Jericho". The screenplay is by Steve Conrad and Jack Thorne; adapted from R.J. Palacio's book. 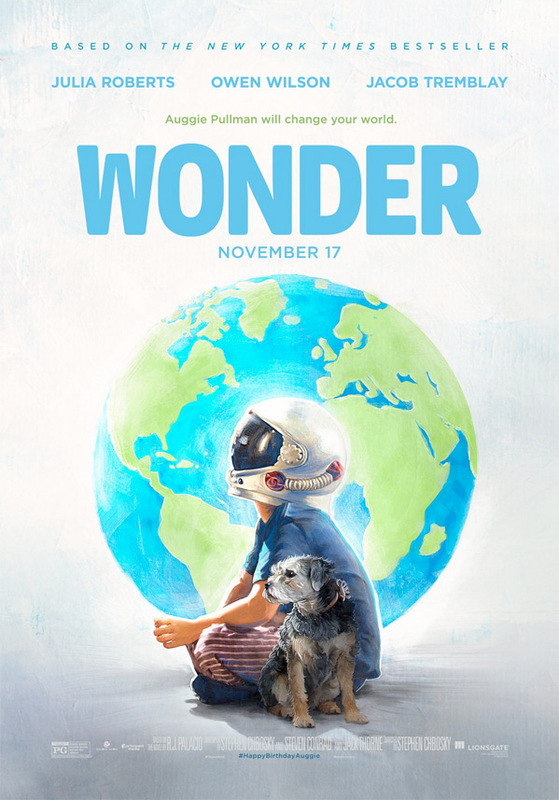 Lionsgate will release Wonder in theaters starting November 17th later this fall. Thoughts?